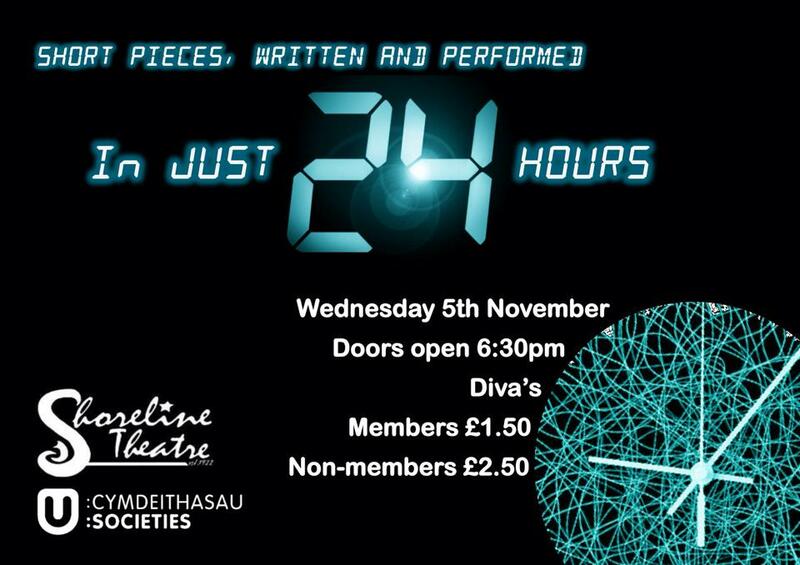 Members were given 24 Hours to write, produce and direct a short piece and 24 hours later, on Wednesday 5th November these pieces were performed to an audience. Three pieces were created entitled; AA Meeting, The Welsh Dragon and The Detective. Members who took part were; Matt Saul, Kate Ford, Joe Dickinson, Will Windridge, Mark Lloyd, Saara Korjus, Cai Sutherland, Lauren Jenkins, Harry Laurence, Joseph Rutherford, Amy Cooper, Nathan Woodford-Rott, David Oakman, Alex Foster, Simon Thompson, Charlie Billington and Joe Hodson.